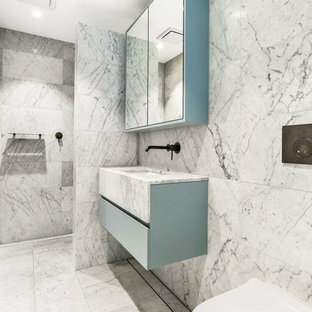 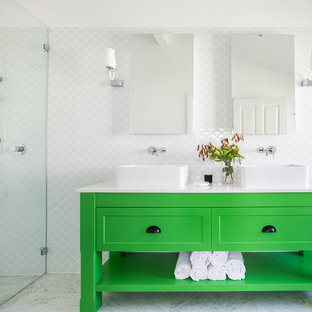 The idea of a bold grass green vanity was the starting point for this impressive ensuite. 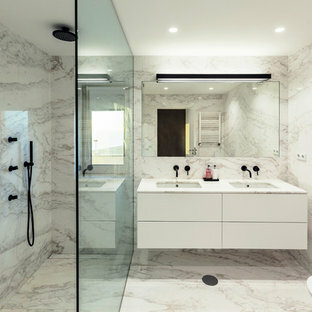 When paired with lantern walls and marble floors, the space feels eclectic but still sophisticated. 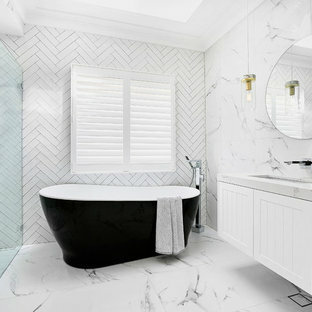 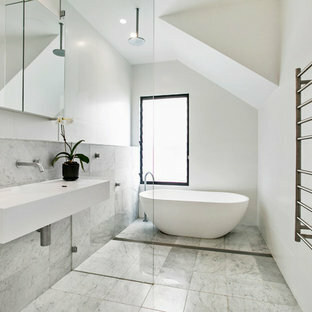 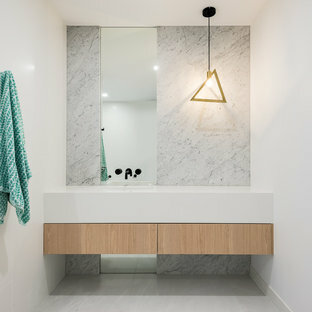 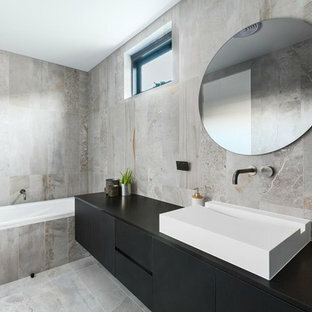 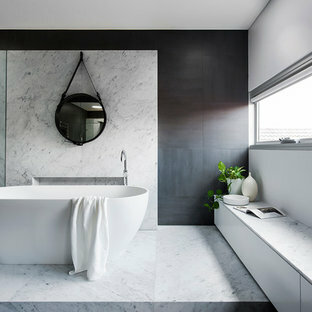 The bathroom has light streaming in from 3 sides, and a feeling of spaciousness in a small footprint. 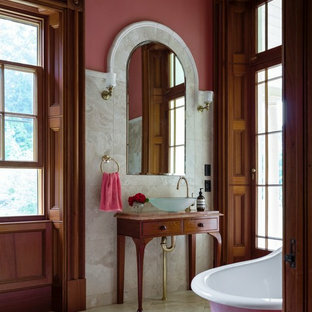 Dusky red mosaic tiles reference the use of pink elsewhere in the house.